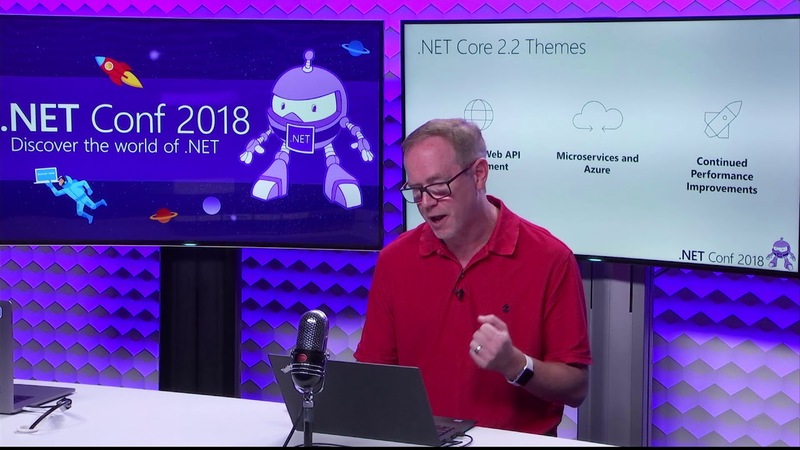 .NET Conf 2018 was our big live stream training event of the year and the biggest .NET Conf we’ve ever done! We had 41 live sessions – 17 in Channel 9 studios and the last day going an all-nighter with 24 hours of sessions on Twitch and Mixer. We also broadcasted the keynote via Amp Live which bought us a lot of new viewers this year. Additionally we partnered the .NET Foundation with the Visual Studio partner program to pull off a virtual attendee party where attendees could win cool prizes like the Surface Go and Xbox. Check out the .NET Conf Keynote! .NET Conf is partnering with organizers around the globe to bring you local in-person events and watch parties! There are over local events around the world now; join your fellow developers in a city near you to learn more about .NET. DNN joined the .NET Foundation in November 2017, and just posted some of the top reasons they're glad they did. Aw, shucks, we love you too! The next version of Chemistry Add-In for Word is close to release! It will include V8.0.0 of the ChemDoodle Web editor inside a completely new Windows Presentation Foundation interface. This makes it resolution independent, addressing a common bugbear when using it on smaller screen resolutions. The NUnit 3.9.0 console and engine were released, featuring stability fixes and changing the handling of appdomain unload errors. We are grateful to our many contributors! With one of the latest releases of Telerik UI for UWP MultiDayView support has been introduced for the Calendar, expand and collapse functionality for the groups in the ListView control and many more features and improvements. Our latest official release of Telerik UI for UWP features more options in the MultiDay view of the Calendar, nested PropertyName support, major bug fixes for the DataGrid and more. The Orleans 2.1.0 release includes a number of performance improvements, the biggest one being the new scheduler, that all add up in our tests to up to 30% throughput increase on the same hardware. It also brings the support for distributed transaction to what we consider ""release candidate"" quality, with the new Distributed Transaction Manager at its core. We plan to declare transactions production ready in a subsequent release, after another round of testing and improvements. Lastly, this release includes a new code generation package Microsoft.Orleans.CodeGenerator.MSBuild that can be used as an alternative to Microsoft.Orleans.OrleansCodeGenerator.Build. The new code generator leverages Roslyn Code Analysis functionality to avoid loading application binaries. As a result, it avoid issues caused by clashing dependency versions and multiple versions of the .NET Core SDK. This release includes no breaking changes and is backward compatible with 2.0. * releases, which allows for in-place upgrade of a running cluster. Microsoft is joining in Hacktoberfest this October, and that includes the .NET projects on GitHub. Watch for a blog post the first week of October with more information!